No, you’re not seeing double. Similar to the Nike Kyrie 5 we took a look at earlier in the month, Nike’s “Just Do It” theme is making its way onto Kevin Durant‘s eleventh signature sneakers. 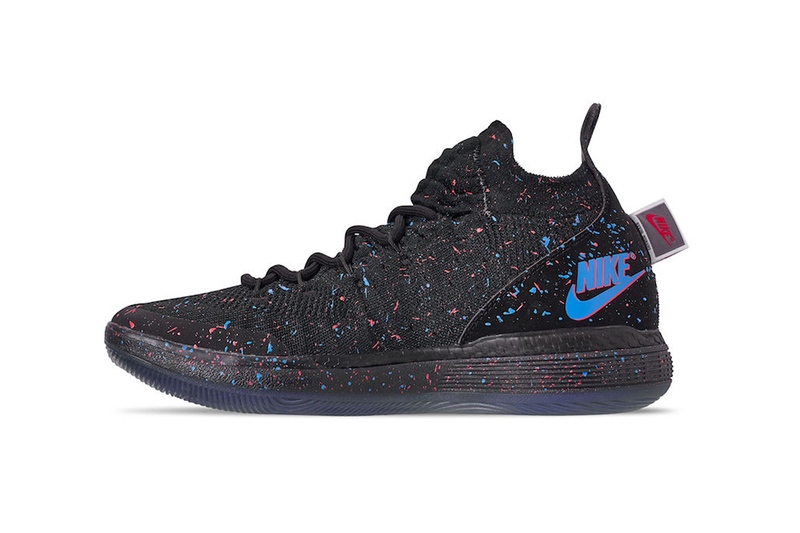 The KD11’s Flyknit-boasting upper is treated in black with red and blue speckles with its soft React Foam outsole following suit. The 3D-like theme continues with small stacked Swoosh logos on each lateral side, mirroring the aforementioned speckles. Lastly, the medial side’s heel complements the mini Swooshes with a Nike Air stamp that’s joined by a branded tab to match. The Nike KD11 “Just Do It” hits select Nike Basketball retailers and Nike.com on February 1 for $150 USD. Let us know which “Just Do It” iteration steals the show, and take a look at our hands-on experience with Nike’s new self-lacing Adapt BB sneaker. Nike Shares Official Images of the KD11 "Aunt Pearl"
Nike to Drop KD11 in "Twilight Pulse"
Along with the “Vulcanized” & “2.0” sneakers. A flight back to ‘05.